The Curry family has some exciting news! 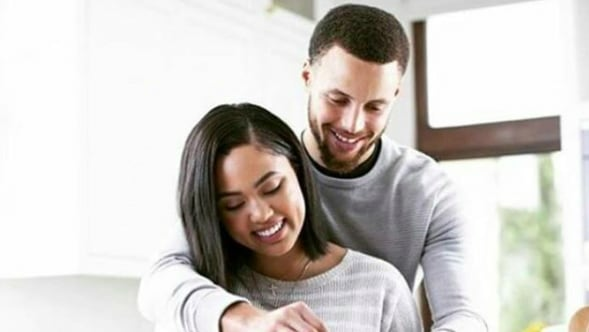 Taking to Instagram on Friday (Feb. 2), Ayesha Curry shared a photo of herself wearing a t-shirt with the word "preggers" adorned across the front in all caps. "Heyyyy how did this happen?!" she playfully wrote in her caption, adding, "Curry party of 5. Feeling very blessed...and very sick." Despite her caption hinting that the pregnancy has been off to a rough start so far, Ayesha was all smiles in the second photo she posted. The couple, who wed back in 2011, are already parents to two daughters, Riley, 5, and Ryan, 2, with many fans wondering if the adorable girls will be blessed with a brother or a sister. Congrats to the Curry fam!